Examples, worksheets, and solutions to help Grade 5 students learn about coordinate system. The following diagram shows the Coordinate System. Scroll down the page for more examples and solutions. 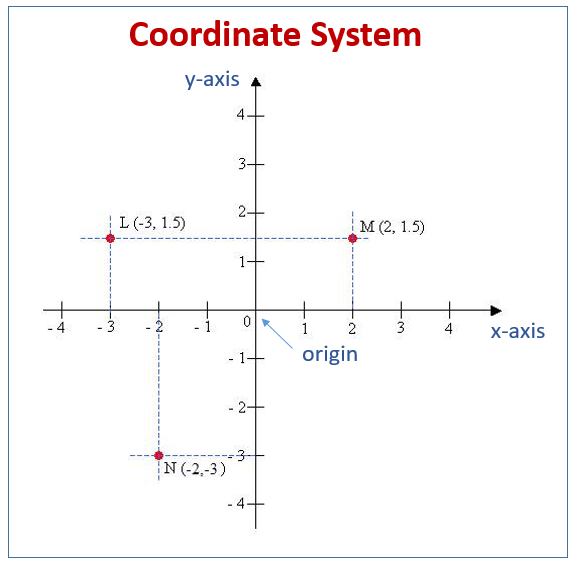 In this lesson, students learn how to plot points on a coordinate system. For example, the point (-1, 2) is 1 unit to the left and 2 units up on the coordinate system. How to plot coordinates on an x-y graph? How to Plot a Point on a Graph?